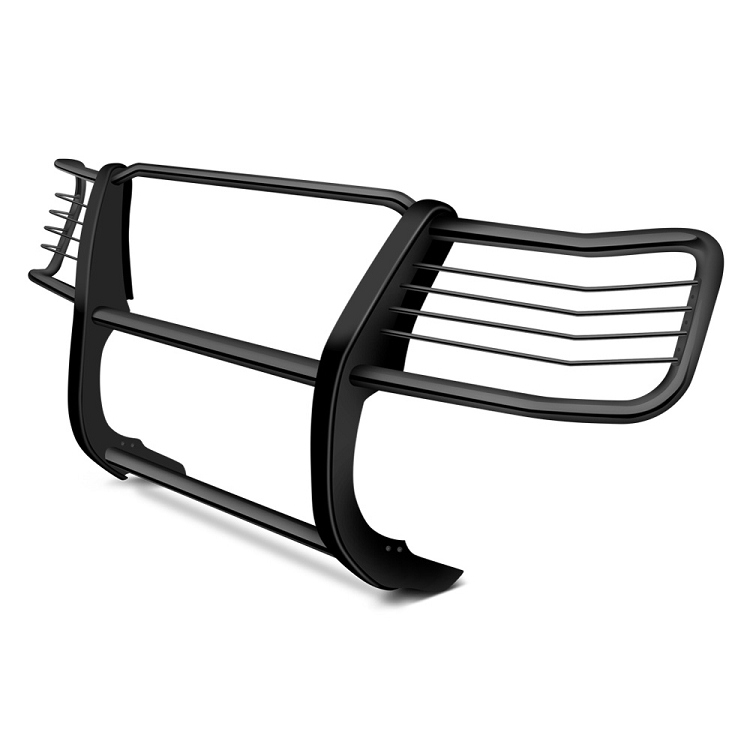 Black Powdercoat Grille Guard (52270) by SteelCraft®. 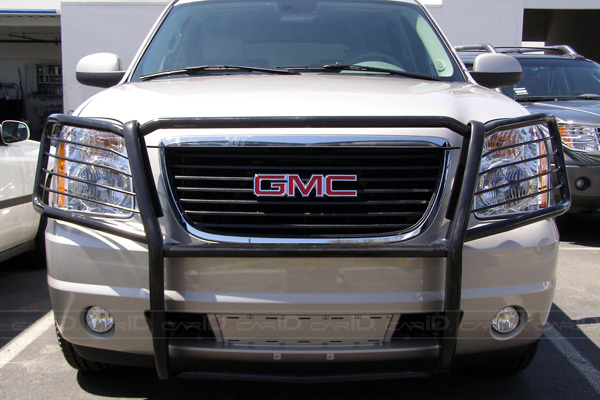 The SteelCraft design is adapted to each application, providing an OEM accessory look that universal grille guards cannot achieve. They offer both real protection and elegance. Easy bolt-on installation. Electro coating is a unique environmentally friendly organic finishing process that uses electrical current for paint deposition. Upon submersion an electrical charge is applied to the steel and an opposite electrical charge is applied to the special paint solution. Unlike simple powder coating, this creates a seamless bond between the steel and the paint resulting in a uniform protecting coating over 100% of the steel inside and out.